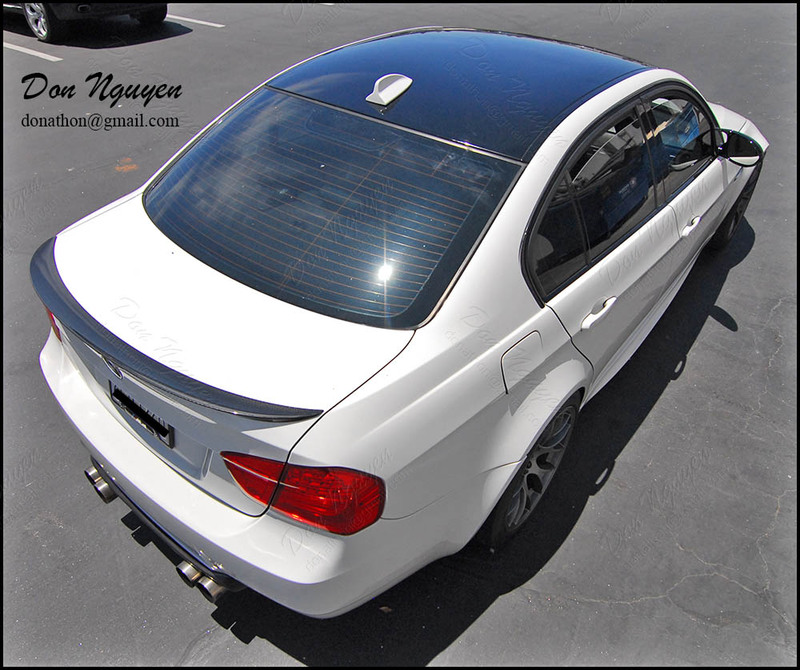 The owner of this alpine white BMW E92 M3 sedan came by to have me vinyl wrap the roof of his car in my gloss black vinyl material. The black roof really completely changes the look of the car, as you can see in the before/after pictures. The vinyl gets tucked in every where along the roof, rails, and antenna, during the installation. This makes sure that the roof holds longer over time and to the elements. The owner of this car was also in Orange County and drove out to me in Anaheim Hills to get the vinyl wrap work done.